Cellist Jacqueline Choi is a pioneering soloist, chamber musician, and teacher active in the United States, South Korea, and Europe. 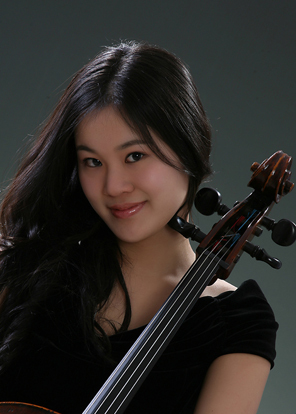 Having made her concerto debut at age 12, Ms. Choi appeared as soloist with the Boston Symphony, New England Philharmonic, Bucheon Philharmonic, Boston Landmarks, Allentown Symphony, Broadway Bach Ensemble, and MSM Symphony Orchestras among others and toured South America with New England Conservatory’s Youth Philharmonic Orchestra. Her recent solo concerts have brought her to the stages of Alice Tully Hall, John F. Kennedy Center for the Performing Arts, Musée du Louvre, Boston Symphony Hall, Jordan Hall, Merkin Concert Hall, Jerusalem Music Center, Mozarteum Brasileiro, and Seoul Arts Center. Competition, and concerto competitions held by the Boston Symphony, Brockton Symphony, New England Philharmonic, New England Conservatory, and the Manhattan School of Music. Ms. Choi also received the prestigious Kumho Prodigy Concert Award and their Instrument Bank Award, and was a top prizewinner at the 24th Irving M. Klein International String Competition. A lover of chamber music, Ms. Choi has appeared at the Chamber Music Society of Lincoln Center and toured internationally with the Kumho Virtuosi Trio and the Kumho Soloists upon being featured in the foundation’s Rising Star Series in 2008. She has performed in the International Program at Music@Menlo, Yellow Barn Music Festival, The Perlman Music Program, The Banff Centre for the Arts, and the Schleswig-Holstein Musikfestival, collaborating with Itzhak Perlman, John Adams, John Harbison, and Stephen Coxe among other renowned artists. Recently, Ms. Choi has enjoyed spending her summers performing and serving on the faculties of Summertrios in Bryn Mawr, PA and Manhattan in the Mountains in Hunter, NY. Jacqueline Choi completed her Doctor of Musical Arts degree in 2015 at the Manhattan School of Music, Master of Music degree at the Juilliard School, and Bachelor of Music degree at the New England Conservatory under the tutelage of Clive Greensmith, Timothy Eddy, Paul Katz, and Michael Reynolds. In addition to teaching at CUNY, John Jay College’s Mozart Academy in New York City.